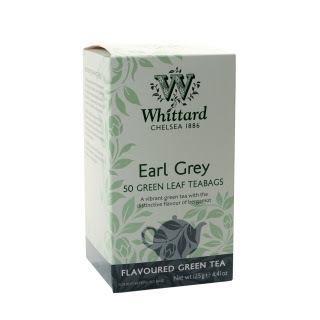 This is the last of the teas from my visit to the Whittard's outlet store - I'll have to go again after this :). As usual I brewed it for 5 minutes. Apparently you can add condensed milk to have a sweet version of tea but unsurprisingly I don't have any at work. A cavalcade of spices! But the cloves and cardamon are the strongest flavours. Despite the strength of these flavours you can still taste the black tea fairly strongly. A very enjoyable experience but I have had better chai. I think milk would likely improve it. A lovely tea but there is better chai out there. Probably would be improved by milk (condensed or otherwise). As I said tea reviews will be bi-weekly on Wednesdays now :) I'm thinking of coming up with some kind of rating system for the teas so people can compare my thoughts on tea. "Spoon three heaped teaspoons (20g) to 200ml water, or according to taste. Serve over ice for a long summer punch, or add hot water, curl up and enjoy as a soothing winter warmer. Ridonculously easy to brew. It is instant tea! I went for the hot version since it is October (the previous few weeks crazy weather notwithstanding). Smells like hot Ribena with a hint of spice. It is a very warming smell - perfect for winter. So what does mulled wine taste like without the alcohol? I now have a very good idea - similar to hot Ribena with added spices. There is also a tea after-taste. All-in-all it does taste like mulled wine but it doesn't warm you up in quite the same way as the alcoholic version. I tried this tea while baking some cupcakes and making gingerbread :) Pictures will follow on my other blog (which I really need to post more on...). Warming, lovely. I could drink it all winter long! After my visit to the Whittard's outlet store I have a plethora of tea to review :) Here's the second one - Spice Imperial. "Brew one teabag in a mug and remove when the tea is the strength you require. Warming in the winter and also makes wonderful iced tea. Best brewed light and drunk without milk, but can also be brewed stronger and drunk with milk"
Dark brown as any standard black tea. Smells like Christmas! A very similar smell to Chai but with hints of orange and no ginger. Once again this is nice brewed either way and I tend to make it without milk when I have it at work. You can definitely taste the cinnamon first and foremost with hints of orange and vanilla. If you aren't a fan of ginger you could use this as replacement Chai though I think I still prefer Chai myself. Tastes like Christmas! But in a subtly different way to Chai. Delightful! I apologise for the lack of posts this last week-and-a-half but I have had a major deadline to work towards. After my visit to the Whittard's outlet store I have a plethora of tea to review :) Here's the first one - Vanilla flavoured tea. Best brewed light and drunk without milk, but can also be brewed stronger and drunk with milk"
Simple enough to brew. It is definitely worth trying both methods to see which you prefer, I know that I did. The vanilla smell is fairly strong and overpowers the smell of tea. This really depends on how you make the tea. At work I brew it lightly without milk and while it smells of vanilla this mostly brings out the tea flavour. On the other hand brewing it strongly with milk brings out more of the vanilla flavouring which is complemented by the milk (use more milk than normal). Either way this is a very nice tea. I first tried this at a tea party I held which featured some amazing cakes (pictures will follow) and a competitive game of Trivial Pursuit. Either tea-like with a hint of vanilla or milky-vanilla with a tea aftertaste. Lovely. 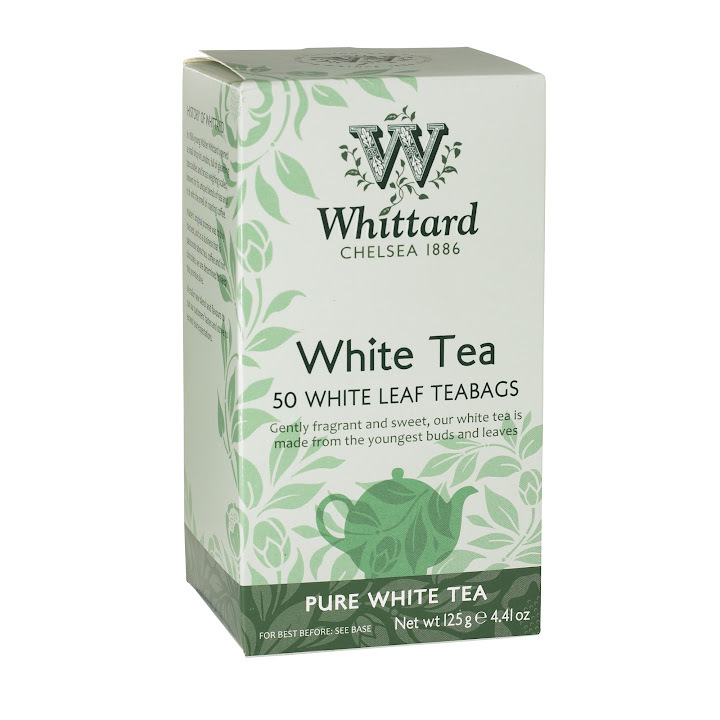 It appears that Whittards are particularly fond of dessert based tea and so this week we turn to the delightful Loose Leaf Apple Crumble Flavoured Tea! This tea was discovered by Tom B and the tasting sample kindly donated by Rach T.
"Always drink lightly brewed with 1/2 to 1 teaspoon of leaves per 6-cup teapot. Warm the pot first with a splash of hot water. Add the tea and pour on boiling water. Brew for 2-5 minutes. Do not add milk." The instructions don't differ much from the other Whittard teas. Again milk is not required and I went for ~5 minutes brewing time (this is a very light tea). A lovely light smell of apples with a hint of cinnammon. This might not quite send you to an English orchard as the advertising blurb claims but very enjoyable. but once again I was surprised! It is very light with hints of apple, cinnamon and vanilla and much more reminiscent of a herbal tea.Personally I'm a fan of strong tea so I feel this is unlikely to become a regular addition to my afternoon. That said, however, it was a refreshing change and definitely worth a try. !). Hilarity of course ensued as the ineptitude of the contestants became apparent. Light and refreshing. Smells of apples and cinnamon. Delightful. So this weeks tea is Whittard's Loose Leaf Sticky Toffee Pudding Flavoured Tea (currently 25% off in their Manchester store). It sounded crazy so I simply had to try it. Always drink lightly brewed with 1/2 to 1 teaspoon of leaves per 6-cup pot. Boil freshly drawn water, warm the pot first with a splash of hot water. Add the tea and pour on boiling water. Brew for 2-5 minutes. Do not add milk." Brewing the tea is straightforward but it should be enjoyed without milk. I personally think that brewing this tea for 5 minutes is best to really get a strong aroma. I had no idea what to expect when tasting this tea, would it go down like syrup? Well disappointingly it tastes like normal tea (but with the amazing smell described above). However, I feel this is probably for the best as I don't know as if I could drink an entire cup of sticky toffee syrup (this is a lie, I totally could but probably shouldn't). These sentiments were also expressed by those who tasted the tea with me, so we have a consensus. Nice tea taste, amazing smell. Warming and lovely.